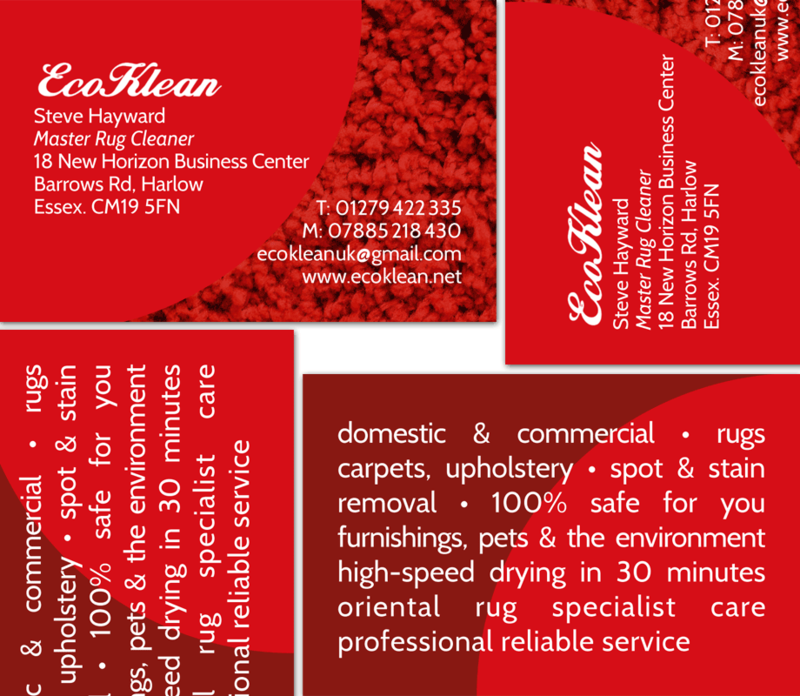 Ecoklean is a small business operating out of Harlow, Essex. 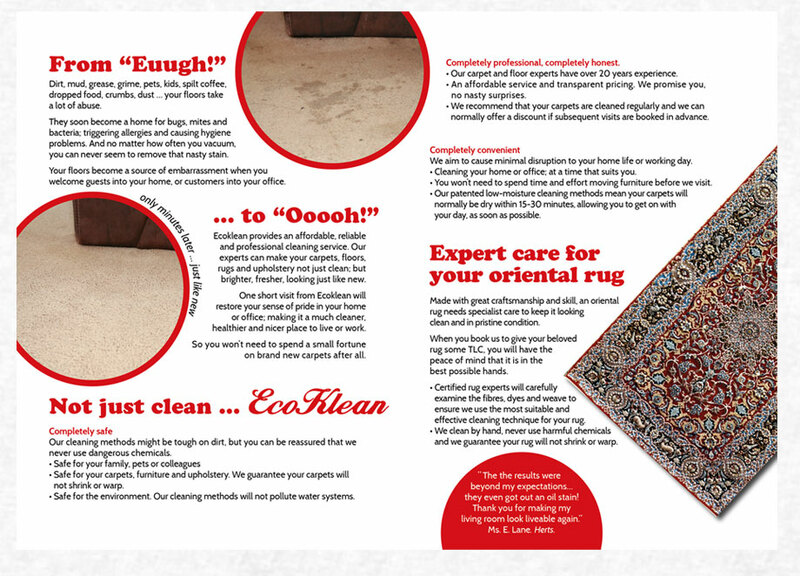 Ecoklean offer a domestic and commercial cleaning service in the local area. The owner approached Sunflower in early 2014, to write and design promotional leaflets and business cards. 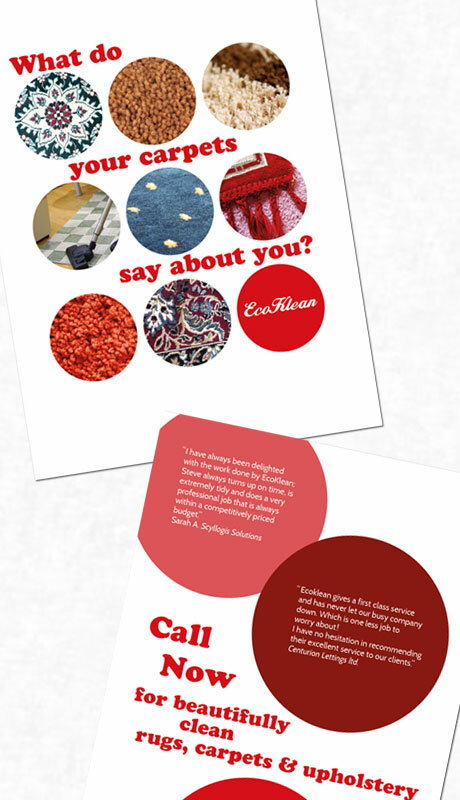 Sunflower provided a full copywriting and graphic design service in the production of these promotional materials.